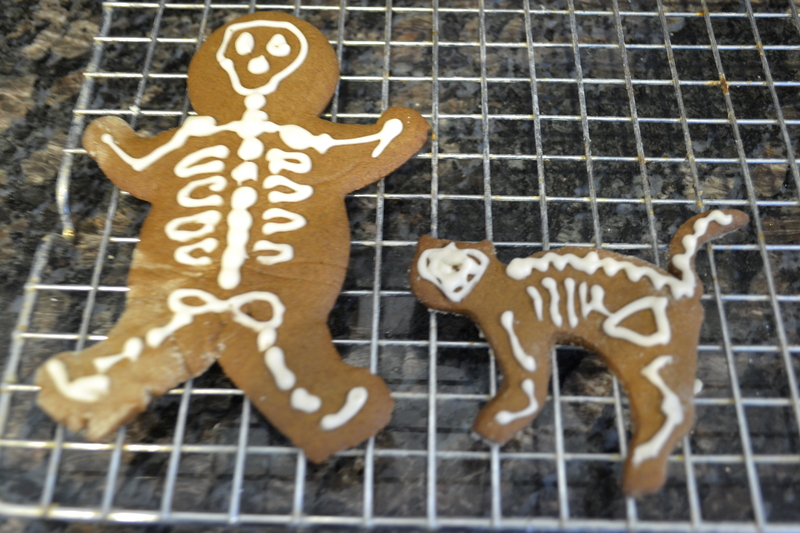 These gingerbread cookies have black pepper in them! Find the recipe here. They were great, and greatly disturbing! There are German holiday cookies called Pfeffernusse (peppered nuts) that have black pepper & they are delicious. 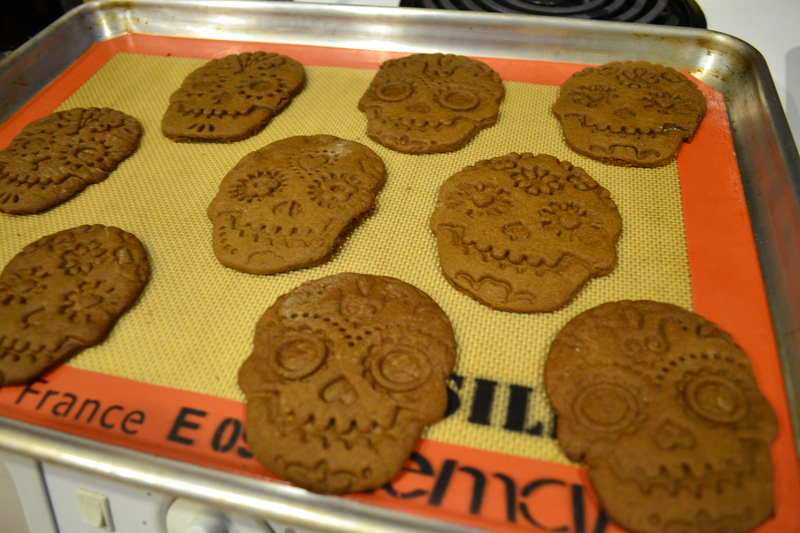 I love the sugar skull cookies! They’re beautiful. Thank you. Last year, I purchased the cookie cutters/presses from World Market. I don’t know if you have WM up there but they have online shopping, also. I absolutely loved the ginger with a touch of peppery flavor & heat. Any cookies are great cookies! agreed.. yet they look very cool indeed! i am in mexico city.. hoping to get ahold of some of them cutters! Mexico City?!? Enjoy all it has to offer. The cookie cutters came from World Market, though. Buy Villa Vainilla brand vanilla and vanilla beans. I grab some every time we’re down there. Love it.